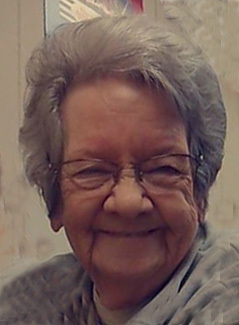 Ruby Jean Harris, 85, of Harrisburg, passed away Friday, April 5, 2019 in Harrisburg, surrounded by her family and loved ones. She was born June 25, 1933 in Swain County North Carolina to the late Harvey Jefferson Simonds and the late Laura Ada Dehart Simonds. She was also preceded in death by her husband Cody "Pops" Harris three years ago, and 10 brothers and sisters. Ruby was a vibrant, beautiful woman, full of spirit. She loved to make people laugh. She was a waitress at Roger's Barbecue in Charlotte for more than 30 years. Ruby is survived by sisters; Irene Belk, Betty Howie, and Joyce Drinnon; daughter, Judy Harris Manack; grandchildren, Jason Ballinger (Christy), and Kimberly Ballinger; great-grandchildren, Jennifer Hollmer, Krysten LaPiana, Ruby Ann Ballinger, Anthony LaPiana, Lilly Williams, Abe Russell, and Elijah Ballinger. The family will receive friends from 11:30 am - 1:00 pm, Wednesday, April 10, 2019 at Hartsell Funeral Home of Harrisburg. The funeral service will be on Wednesday at 1:00 pm at Hartsell Funeral Home of Harrisburg in Harrisburg officiated by Rev. Charles M. Efird. Burial will follow at the Harrisburg Presbyterian Church Cemetery at 4815 NC-49 (Corner of Morehead and Hwy 49), Harrisburg. Hartsell Funeral Home of Harrisburg is serving the Harris family.